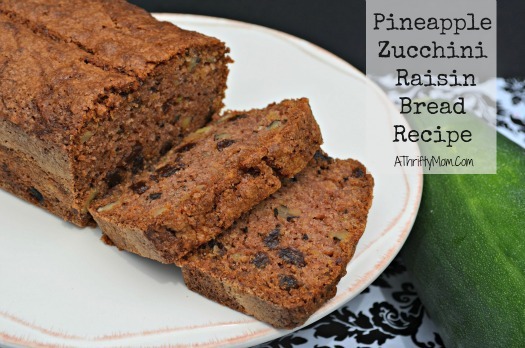 This recipe came from my mother in law, she has made Pineapple Zucchini Raisin Bread Recipe for over 20 years and we look forward to it every year. It is so moist and the perfect blend of spices. Hope you enjoy it too. 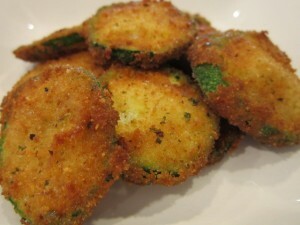 Don’t forget to check out the list of tons of other ways to use zucchini. I have never seen so many different ways to use up zucchini from the garden. 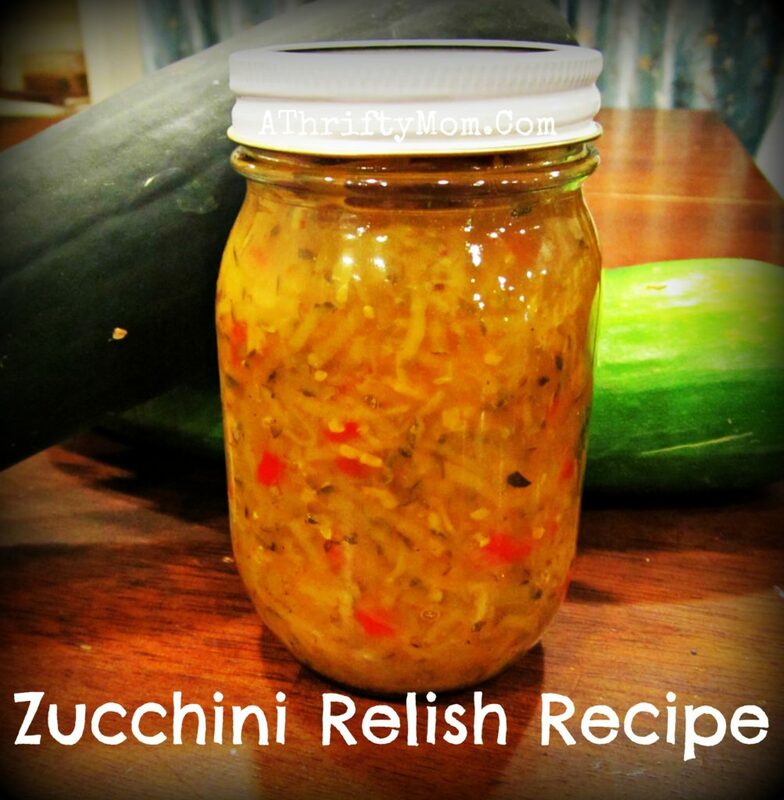 Even those huge zucchinis can be used for all kinds of recipes. See below. In a large bowl mix wet ingredients ( Zucchini, eggs, oil, sugar, vanilla, pineapple). Mix till well blended and set aside. In another bowl add all the dry ingredients, mix them as well. Then slowly start to mix dry ingredients into the wet ingredients, till fully mixed in. Pour into two greased loaf pans. Bake both loaf pans for 60-70 mins at 350 degrees. Test with a toothpick, once it comes out of the middle clean, take out of oven and let cool before serving. Once cooled wrap in foil or plastic wrap to keep fresh. In a large bowl mix wet ingredients ( Zucchini, eggs, oil, sugar, vanilla, pineapple) mix till well blended and set aside.. In another bowl add all the dry ingredients, mix them as well. Then slowly start to mix dry ingredients into the wet ingredients, till fully mixed in. Pour into two greased loaf pans. Bake both loaf pans for 60-70 mins at 350 degrees. Test with a toothpick, once it comes out of the middle clean, take out of oven and let cool before serving. Once cooled wrap in foil or plastic wrap to keep fresh. Zucchini with bacon, best side dish EVER! Previous article2016 LEGO Advent Calendars now available grab yours while you can!